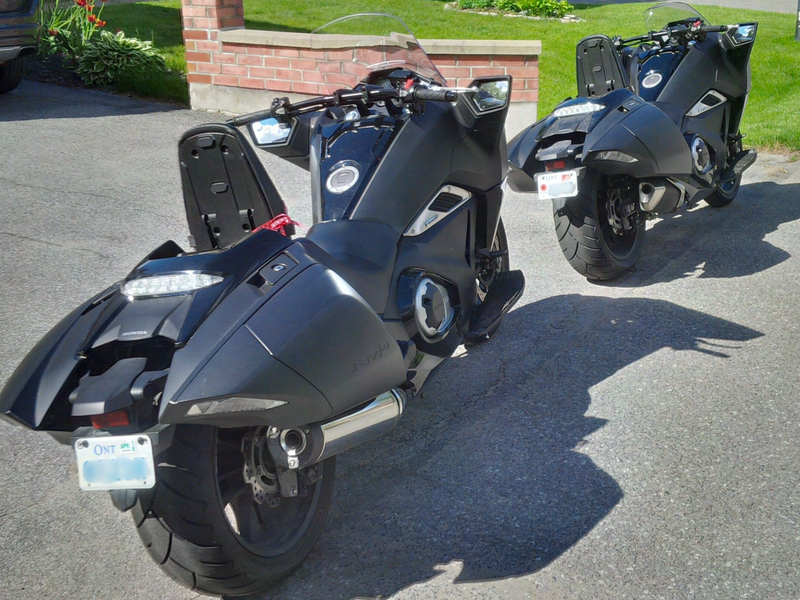 Honda Vultus Forum > Honda Vultus Forums > Introductions > Rear mud guard. Hi, hope someone is able to help me here. a motorcycle accident the day before and have been hospitalised for several days. the end of the street the heavens opened. They only rode about a mile and came back. from the road...Very easy to see why as there's no rear guard. Presumably every one else riding the same model is experiencing the exact same problem. Any comments on this would be gratefully received. My solution was to mount a trunk over the passenger location. That blocks all the kickup. But yea, I have to do a bit of cleaning when the weather isn't nice. I have a 1/4 mile gravel driveway, so I know what you mean by mud. I wonder if one of those rear hugger fender things might work. I did add an Extenda-Fenda to the front to try to cut down on the kickup that coats the underside of the bike. Works pretty well. thanks for your swift reply. Will definitely look into both ideas. would be good. Making it secure though may prove difficult. Gizmo, CaliVultus and Harleygone like this. Gizmo and Harleygone like this. Can't see that happening,but thanks! Went by Madstad and got a shield for my new bike. Asked them about a custom fit product to fill the hole in the fender. Contact them and tell them your are interested too. They took some measurements and pics from my bike to look at making one.